I can’t say I’ve done a splendid job of that at my, well, job. I’m too much of a prideful perfectionist to copy other people’s lesson plans, no matter how wonderful they are, and I usually spend many hours before a class trying to disentangle the hopelessly jumbled threads of a lesson plan I’ve been intricately weaving. But when it counts and there are hot, buttery, awesomely cheddar-filled biscuits on the line, apparently I am very good at stealing. For anyone who has ever sunk his or her teeth into a Red Lobster’s famous cheddar bay biscuit, that person will know that I am not kidding. These things are killer, phenomenal, and absolutely steal-worthy. 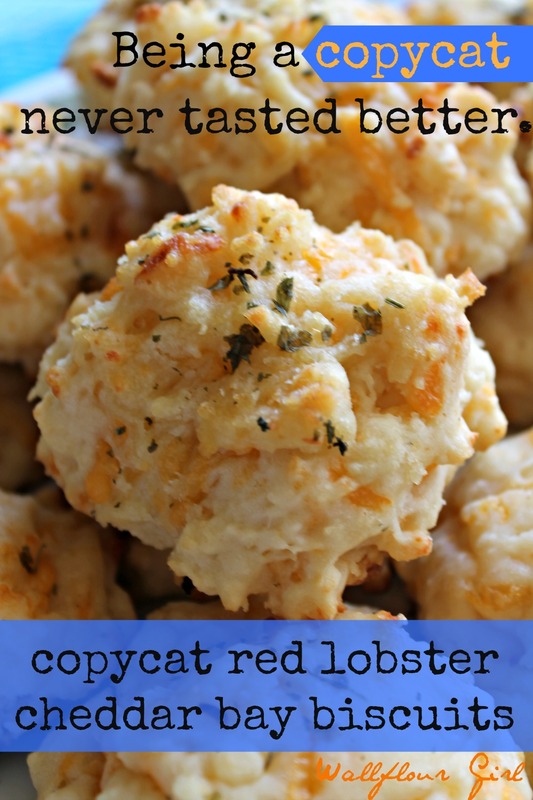 I took one of my favorite Southern buttermilk biscuit recipes and, by brushing it with an awesome butter-parsley-garlic glaze, transformed it into these Red Lobster copycat biscuits. And they may even be better than the real deal. 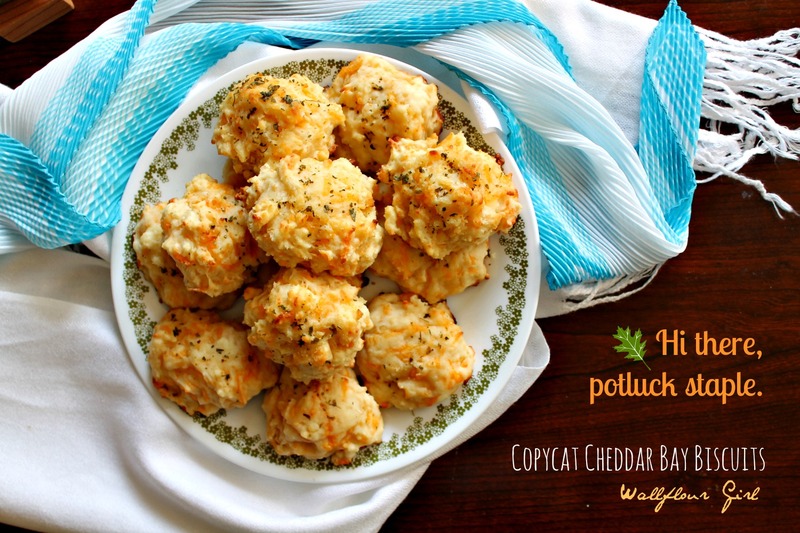 Trust me, you’ll want these on your holiday platters this year. So what are you waiting for? Steal this recipe now (with creds, of course!) 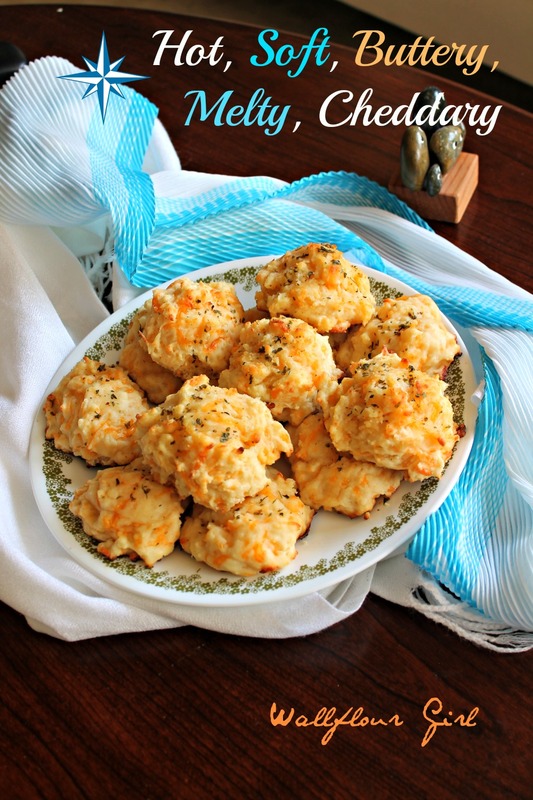 and see who you can wow with restaurant-style biscuits, right from your home kitchen! If you could recreate a copycat version of any recipe, what would it be? Preheat oven to 450 degrees F. Lightly grease a baking sheet and set aside. Combine flour, baking soda, baking powder, and garlic salt in a large bowl. Add very cold butter cubes to dry mixture. Using a fork, cut in butter evenly so that the entire mixture resembles a coarse meal. Add buttermilk and mix in until just combined. Be sure not to overmix, or your biscuits will not be soft and flaky! As you work about half of the buttermilk in, add the cheddar cheese and gently fold in throughout the mixture until everything is just combined. Very gently turn dough out onto a lightly floured cutting board. Pat (do not roll!) your dough out until it is about an inch thick. Don’t worry about it being even! Use a round cookie cutter or the open end of a lightly floured glass to cut out biscuit dough. You can make these as large or small as you’d like–I made mine about 3 inches in diameter. 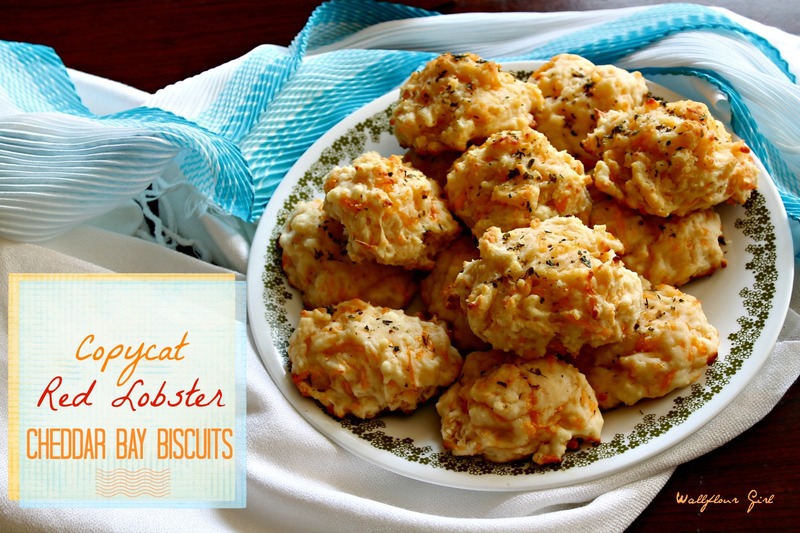 (Note: Red Lobster’s biscuits are drop biscuits, so jagged edges rather than perfectly round ones will work beautifully!) Continue gently cutting out biscuits and gathering your scraps until all your dough is finished. Place biscuits 2 inches apart on prepared cookie sheet. Bake in preheated oven for 10-12 minutes, until golden brown. While biscuits are baking, make butter glaze by combining 2 tablespoons melted butter, garlic powder, and dried parsley in a small bowl. Remove sheet from oven and immediately brush each biscuit with butter glaze. Allow biscuits to cool slightly before serving. These stay good in a sealed paper bag; just reheat them before eating! I’ve never had these, but just reading the recipe I can tell they’re incredible. Really delish! And they look great. And that stealing stuff? Why, gosh, how do you think you learned how to talk? 😉 Imitation does work! Happy Holidays! Hah! I never thought about it that way before, but I got a good laugh out of it–stealing right and left from my good wise ancestors. Happy holidays, John! Just wanted to say these are awesome! Found this on Pinterest and made them tonight. They taste just like the originals. I skipped the cutting and left them as drop biscuits (just easier) they were so good my husband had like 5. Thanks for the great recipe! Awesome, Kiera–thanks so much for the update! I totally don’t blame your husband (I ate like six myself straight from the oven hehe). Glad you found my site and the recipe; hope you can enjoy it again and again! Cheers! Just taken these out of the oven and oh my god, they’re amazing! Taste just like the real thing! I used to live in the US and I’ve missed red lobster biscuits ever since. I’ll be making these again really soon. Ohh, that’s SO good to hear, Charlotte–thanks for reporting back, I’m glad you loved them as much as we do! I used to miss Red Lobster so much (just for their biscuits), too–I hope you’ll use this one again and again 😉 happy Wednesday, gal!